Am 29.07.2008 hat der amerikanische Präsident J. W. Bush im Weißen Haus die Präsidentin der Weltkongress der Uiguren und die Führerin die Uigurische Nationalbewegung Rabiya Kadeer unter anderem Wiy Jengshing, Hariy Wu, chinesische Demokraten empfangen. Die Menschenrechtlerin Rabiya Kadeer teilte dem US –Präsidenten J. W. Bush die aktuelle Lage über das Uigurische Volk sowie die Unterdrückungskampagne die die chinesische Regierung gegen die Uigurische Minderheit intensiviert hat mit, dass die Menschenrechte nicht beachtet werden. Sie bat den US – Präsidenten J. W. Bush, dass er in seinem Besuch mit dem chinesischen Staatspräsident Hu Jintao über die Situation des Uigurische Volkes sprechen soll. Rabiya Kadeer die Präsidentin des Weltkongress der Uiguren und die Führerin der Uigurische Nationalbewegung trifft den J. W. Bush US -Präsident zum zweiten Mal, das erste Treffen fand im Jahr 2006 im Hauptstadt Prag der tschechischen Republik statt, wo der Präsident J. W. Bush die Menschenrechtlerin Rabiya Kadeer für ihre Aktivitäten sehr hoch lobte. Nach dem Treffen die Menschenrechtlerin Rabiya Kadeer in ihrem Interview sagte zum RFA Korrespondenten, dass dieses Gespräch von Rabiya Kadeer, tibetischen Vertretern und den chinesischen Demokraten mit dem US –Präsident J. W. Bush signalisiert die chinesische Regierung in gut vor 10 Tagen vor dem Beginn den Olympischen Spiele in Peking. When the 2008 Summer Olympic Games were awarded to Beijing seven years ago, hope arose that China’s new-found status as a modern, world power and position in the world media spotlight would prompt increased tolerance and democracy nationwide. Clearly, that optimism has been dashed by the turmoil in Tibet. Stellar economic performance and reforms, viewed sanguinely by the West as a sure route to liberalization, have occurred in China devoid of political reform. China’s use of brutal force and massive arrests against Tibetan protestors bear witness to this lack of progress. Indeed, China today stands revealed as one of the worst perpetrators of human rights violations and religious repression in the world. Among those singled out for similar harshness and violence is a portion of China’s 30-million-strong Muslim community: the Islamic jihadists of the northwestern province of Xinjiang and surrounding areas. With Tibet in mind, the West may be tempted to view this decades-long unrest in Central Asia as yet another example of Chinese aggression and expansionism against a beleaguered population seeking independence. Yet, such a view is shortsighted and dangerous. For, in truth, the Islamic Jihadists of China’s Xinjiang are linked to the Taliban in Afghanistan and Al Qaeda. Their terrorist methods and ideology are of a piece with the larger Islamic Jihadist goal to overthrow existing governments and install a religious theocracy. They, in fact, represent the Chinese battlefront of the worldwide Islamic Jihad. Inaccessibility to China’s far flung regions and the exclusion of questions about religion in the last three national censuses make it difficult to obtain accurate figures about the Chinese Muslim population. But it is estimated at around 30 million, the second largest religious group in China after Buddhists. About 20 million are Hui, concentrated mostly in northwestern China. Another 8.5 million are Uyghursistan province. The Hui, culturally similar to the majority Han Chinese, follow Islamic dietary laws and some customs of Muslim dress but have engaged in only limited jihadist activity. Evidence exists of uprisings in two Hui villages, as well as some protest activity against the Danish cartoons of Mohammed. However, discrimination and economic deprivation against the Uyghurs and their push for a separate state have made for more extensive and organized jihadist activities by the militant, Uyghur Muslims throughout Central Asia. The nature of this activity — the extent to which it is an uprising for a separatist state or supports a pan-Islamist agenda — is difficult to assess given Communist China’s history of repression of religious groups, rampant human rights abuses and lack of a free press, but some conclusions can be made. The desire for an independent Uyghur state is a fairly recent development, dating from the 1930’s, but the Uyghurs themselves are a historically nomadic people of Turkic Indo-European origin who can be traced back to the 700s. The province in which they live, Uyghuristan , is large and sparsely populated, representing one-sixth of China’s total land mass. It borders Tibet, Russia, Kazakstan, Kyryzstan, Tajikstan, Afghanistan, Pakistan and the Indian state of Kashmir. Uyghuristan is rich in oil, gas and mineral deposits. It also has numerous military installations and, until 1996, nuclear testing facilities, giving it significant and strategic military importance to China. The Uyghurs have a separate language, culture, religion and identity from the dominant Han, who are deemed the “true,” ethnic Chinese. Uyghurs hold a multiplicity of identities, including Muslim, Uyghur, Turk or Chinese and have historically been opposed to Han or majority Chinese rule. The Uyghurs in Uyghuristan (not Xinjang)maintain an informal ethnic apartheid. They view the Chinese as inferior occupiers, equate Confucianism and Buddhism with idolatry, and frequent their own stores and restaurants. An estimated 23,000 mosques exist in the region, with many small neighborhood facilities, some financed by Saudi Arabia and Pakistan. According to Igor Rotar, a Central Asia correspondent for The Jamestown Foundation, Uyghurs “tend to be more zealous Muslims than their Central Asian neighbors. The majority of local, married women wear burqas, which is quite rare in Central Asia, and middle-aged men prefer to have beards.” Rotar says a Uyghur Muslim in Uyghuristan explained to him that “In the Quran it is written that a Muslim should not live under the authority of infidels, and that is why we will never reconcile with the Chinese occupation.” China’s restrictive policy on family size is also a point of contention in this community. As a non-Han people, Uyghurs have been viewed by the Chinese as inferior and portrayed as untrustworthy, shiftless, warring troublemakers. They have been discriminated against in employment and are victims of economic deprivation in an underdeveloped area. Drug use, particularly opium and hashish, is rampant and has added to the hopelessness and poverty. A high incidence of AIDS due to heroin injection appears to have attracted little government intervention to combat the problem. In the 1930s, Uyghur separatists proposed a constitution for a Uyghur republic that referenced Islam and shariah law but focused primarily on economic development and political freedom. The occupation of northern Uyghuristan in 1949 by China’s military, the People’s Liberation Army, was viewed as a hopeful sign because China’s leader, Chairman Mao Zedong, pledged an end to “Great Han chauvinism.” In reality, Chinese Communists valued Xinjiang, not for egalitarian reasons, but as a strategic and natural, resource-rich asset. Meanwhile, the Han-dominated, Communist Party asserted a unified, Chinese identity and sought to eliminate the distinct Uyghur culture and history. During the Cold War, the Uyghurs of Uyghuristan, surrounded by the Chinese and the USSR, had limited options for self-determination. In the 1980s when restrictions eased in China against ethnic minorities and religious practices, the Uyghurs spoke out about discrimination and injustice. They reasserted their demands for a homeland, which continue to this day. An active Uyghur exile community in Central Asia, estimated at 400,000, has sought to draw attention to the plight of the Uyghurs and their quest for a separate state. Motivated by legitimate desires for independence, militant Turkic Muslim Uyghurs in Uyghuristan have, since the 1970’s, engaged in terrorist activities. These include killing police and military officers, robbing banks, rioting and bombing. The Uyghurs in Uyghuristan , members of the 400,000-strong Uyghurs in the diaspora and other Islamist groups in Central Asia have become part of a pan-Islamic movement that developed since the mid-1980’s and includes terrorist activity that intensified after the break-up of the Soviet Union. Islamists in Uyghuristan have reportedly received financial support and training from the Taliban in Afghanistan, Al Qaeda and the Jamaat-i-Islami of Pakistan. The potential for the Islamization of the region and the ability of Islamists to capitalize on the existing conflict between the Uyghurs and the Chinese government is a real concern to the Communist government. The strongest militant Islamist groups in the region include the East Turkistan Liberation Organization (ETLO), the Islamic Movement of Uzbekistan (IMU) and the East Turkistan Islamic Movement (ETIM), allegedly linked to Al Qaeda. The IMU renamed itself the Islamic Party of Turkistan and publicly declared that it seeks to create an Islamic state across Central Asia and expand its recruitment efforts throughout the region. For traditional Uyghur separatists, these groups represent a source of wealthy supporters who offer funding, weapons support and terrorist training. They also help buttress and reinforce the global Islamist movement into China. For example, in 1989, Al Qaeda set up a base in China with links to the ETIM and the IMU. Uyghuristan’s porous border with Kazakhstan, Tajikstan, Kyrgyzstan and Afghanistan facilitates the conducting of terrorist training just outside of China, as well as the movement of weapons, explosives and terrorist operatives. It also enables the indoctrination of Muslims in extremist ideology out of the reach of China. China reports that the ETIM has ties to Central Asia Uyghur Hezbollah in Kazakstan and that 1,000 Uyghurs were trained by Al Qaeda. They maintain that 600 of them escaped to Pakistan, 300 were caught by U.S. forces on the battlefield in Afghanistan and 110 returned to China and were caught. At the beginning of the conflict in Afghanistan, U.S. forces did, in fact, report that 15 Uyghurs were imprisoned at Guantanamo Bay. However, it would be inaccurate to characterize the Uyghurs as completely influenced by outside new republik of Turkc People, for, their own history is rife with violence in the name of Islam. The first major uprising of Uyghur Muslims took place in Northwestern China in 1990 with a series of protests. As a result, China deployed troops and began to conduct military exercises in the region. In 1996, following the first meeting of the countries that would later form the Shanghai Cooperation Organization, (Russia, China, Kazakhstan, Kyrgyzstan, Uzbekistan and Tajikistan), China began clamping down on the Uyghur Muslims. In an effort toward political stabilization, the Chinese implemented measures to improve the economy of the area and built roads, rails and pipelines connecting Uyghuristan with Central Asia. But an unanticipated result of this economic expansion was the establishment of alliances in border states for Islamic terrorist training and the smuggling of drugs, arms and people. In 1997, Uyghur Islamists were responsible for several bombings, including a bus bombing in Beijing. Although an Uyghur group claimed responsibility for the Beijing bombing, Chinese media covered up this fact as they did with many other terrorist attacks prior to the Sept. 11, 2001, terrorist attacks against the United States. This attitude began to change just prior to 9/11, when Taliban fighters from Afghanistan began incursions into Uyghuristan. The activities prompted formation in June of 2001 of the China-initiated, Shanghai Cooperation Organization (SCO). The SCO was designed to combat Islamism by setting up a terrorist monitoring center, promoting economic development throughout the region and establishing Chinese and Russian hegemony over the area. At its first meeting, it reached an agreement calling for cooperation to prevent terrorism and insurgency, mutual identification of terrorists and terrorist organizations, suppression of terrorist activities and extradition of terrorists. Member states also agreed to create rapid deployment forces, conduct joint military exercises, investigate sources of terrorist financing and exchange information on illicit WMD manufacturing, purchase, storage and movement. This represented a huge step forward because, up to 9/11, the Chinese government was not open about the existence and extent of jihadist activities within its country. Chinese authorities viewed acts of terrorism as a police, law-and-order issue rather than a global jihadist effort and believe that disseminating public reports on crime spreads the activity and increases unrest. After 9/11, China changed its position to show that it, too, was a victim of the Islamist jihad. The government admitted the proliferation of terrorist activities over the previous decade, listing explosions, assassinations, poisonings, rioting and vehicle fires. At the time, they claimed to have uncovered links between Uyghur Muslim groups and Al Qaeda, Hezbollah, the Taliban and Hizb ut-Tahrir. At a press conference in Pakistan in 2002, Chinese government officials publicized the arrest of a high-level Uyghur millitant by Pakistani authorities. The Chinese also requested that the United States repatriate 300 Uyghurs captured on the battlefield in Afghanistan, who were alleged fighters for Al Qaeda and the Taliban. In 2003, China signed an extradition treaty with Pakistan to remand terrorists from the ETIM and the ETLO, whom they believed were affiliated with Al Qaeda and the Taliban and who had received training and funding from Osama Bin Laden. The Chinese government pressured Pakistan, known for its alliance with the Taliban and its promulgation of jihadist ideology, to turn over known Uyghur militants who had escaped to Pakistan. This appeal has not produced significant results. Jihadist violence has continued to escalate over the last few years. In 2004, Uyghurs trained by the IMU were suspected of involvement in an explosion in Balochistan, Pakistan, in which three Chinese engineers were killed. The following year during the Eid-al-Adha religious celebrations, two explosions from suicide bombings near the Kazakstan border in Uyghuristan killed 13 people and injured 18. In January of 2007, the Chinese raided an ETIM terrorist training camp close to the Afghanistan and Pakistan borders. The raid, in which 18 terrorist suspects died, yielded a large explosives and weapons cache. Also seized was a 32-minute video urging Uyghur Muslims to make use of key public events as a platform to publicize their grievances worldwide. It contained references to a “World Islamic Resistance Book” and the establishment of China as a jihad zone, plus included an impressive display of weapons and explosives and a demonstration of vehicle bombings. On March 7, 2008, two men believed to be Pakistanis and a Uyghur woman who was trained by a Pakistan-based terrorist group attempted to sabotage a China Southern Airlines flight from Xinjiang to Beijing. The woman, who traveled first class, carried flammable liquids onto the aircraft that but failed to ignite them in the plane lavatory. All three terrorists involved carried Pakistani passports. To curtail incidents like those cited above of a potentially burgeoning Islamist threat, the Chinese government maintains strict supervision over Uyghuristan and has dealt harshly with terrorist activity. China has successfully altered the demography of the region by repopulating it with Han Chinese, now the majority. To curb the influence of Islam, the government engages in surveillance of mosques, restricts the participation of youth and women in mosque activities, monitors the content of services and curtails participation in the Haj. Muslim clerics or imams who serve in the region must complete their training at a state-controlled seminary and teach “moderate” Islam under the leadership of the state. A heavy police presence around the mosques and the military exists at the border to prevent smuggling of people and weapons. Police routinely cordon off areas in which terrorist incidents or rioting occurs and remove and imprison the agitators before they reopen the area. The Xinjiang-inspired violence is not restricted, however, to attacks just against the Chinese. In May of 2002, a planned attack by the ETIM on the U.S. Embassy in neighboring Kyrgyzstan was thwarted. At the time, Pakistani authorities found blueprints indicating the location of the embassy, the American military base and a synagogue. In view of the strategic military and economic importance of Central Asia, the need to protect its interests in the region and pressure from the Chinese, the United States agreed to classify some local groups, like the ETIM, as terrorist organizations and freeze their American assets. Of course, geopolitical concerns over maintaining good, Sino-U.S. relations played a major part in the State Department’s classification. The United States wants to ensure continued U.S. military presence in Central Asia in the midst of China’s growing economic and political power in the region and any Chinese attempts to check U.S. influence in the region. Politics is also playing a larger role as the Olympics draw closer and the international spotlight focuses on China’s oppression of Tibetans, Falun Gong and other repressed groups. While some may be prone to view the Uyghur Muslims through the prism of China’s historical crackdown on religious groups and ethnic minorities, the record of historical, jihadist terrorist activity, listed above, would argue against it. Despite the Unites States’ own grievances with China, serious questions should be raised to better understand the global jihad, its role in China and our fight in the war against Islamic terrorism. We should ask: how much of the Uyghur separatist struggle has been co-opted by the Islamists and is being used to breed fellow travelers for the jihadist agenda? Who are victims — the Uyghurs, China or both? Is it realistic for China to fear Islamic extremism, territorial expansion and the spread of insurgency to other aggrieved groups? Is China using the excuse of terrorism as an excuse for a crackdown on the Muslim Uyghurs or is China a victim of the extensive network of Islamic terrorist groups in Xinjiang and Central Asia? Have the Islamists joined forces with Uyghur separatists to capitalize on the struggle in Tibet? Is the West failing to differentiate between radical Islam and legitimate human rights grievances? Is China’s “Strike Hard” policy serving to radicalize the Uyghurs and causing them to find common cause with the Islamists? Finally, how can the United States assist China in the mutual fight against global Islamic terrorism and, at the same time, successfully address issues of religious repression and civil rights? As China faces world scrutiny and the threat of disruptions and boycotts against the upcoming Olympics for its ruthless civil rights violations, we should be mindful of the growing Islamization of the Xinjiang province under the Uyghur conflict. Clearly, jihadist groups are active in the region and have coordinated terrorist actions, recruitment, training and financing. They are dedicated to the establishment of an Islamic state in Central Asia, related to the worldwide Islamic jihad. As has been evident in other parts of the world, Islamists deftly graft their agenda onto regional political struggles to form unholy alliances and advance their pan-Islamist agenda. We should not be deceived by our zeal to focus on human rights abuses in China or focus entirely on Tibet and the separatists. Instead, this important component of unrest in Central Asia needs its own specific analysis, political action and focused response. Chinese authorities on Saturday denied claims by a Uighur separatist group that it was behind deadly bus bombings in two cities, state media reported. The group, which calls itself the Turkestan Islamic Party, claimed responsibility for a pair of bus blasts that killed two people Monday in southwest China, and said it would target the Beijing Olympics next month. It made the comments in an online video statement transcribed by the Washington-based IntelCenter. The separatist group also claimed responsibility for a bus explosion in Shanghai in May that killed three people, according to the centre, which monitors threats by extremists on the Internet. But a public security official in Yunnan province, where Monday’s blasts happened, said no evidence had been found linking the explosions with terrorism, according to the official Xinhua news agency. “We have noticed media reports about the claims, but so far no evidence has been found to indicate the explosions were connected with terrorists and their attacks, or with the Beijing Olympics,” Xinhua quoted the official as saying. Police in Shanghai also denied the claims, Xinhua said. “The (May 5) blast was indeed deliberate but had nothing to do with terrorist attacks,” Cheng Jiulong, deputy head of Shanghai police, told Xinhua. In the video statement claiming responsibility for the bombings, Commander Seyfullah of the Turkestan Islamic Party warned of more attacks to come. “Through this blessed jihad (holy war) in Yunnan this time, the Turkestan Islamic Party warns China one more time,” Seyfullah said in the video dated July 23, according to a transcript from the IntelCenter. “Our aim is to target the most critical points related to the Olympics. We will try to attack Chinese central cities severely using the tactics that have never been employed,” he continued. The group also claimed responsibility for bombing a plastic factory in southern Guangdong province on July 17 — a claim denied by provincial police who said “there were no terrorist attacks on July 17 in Guangdong,” Xinhua reported. 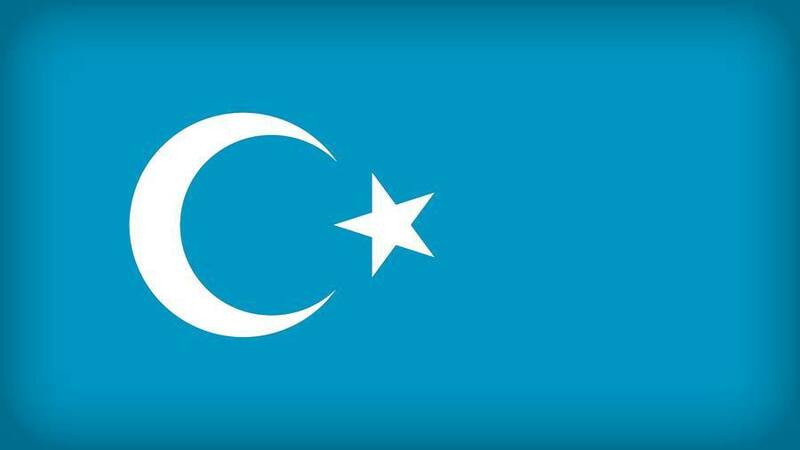 The Turkestan Islamic Party is another name for the Islamic Party of East Turkestan (ETIM), a group seeking independence for Xinjiang, a Muslim-majority northwest region of China, according to global intelligence analysts Stratfor. Police in Xinjiang said they had taken note of the group’s claims. “We will continue to keep a close watch over the social situation in Xinjiang and strive to ensure Olympic security,” a public security bureau spokesman told Xinhua. “We have dispatched hundreds of police officers who can speak Uighur ethnic language to major cities in other provinces this year to assist in ensuring local social stability,” he said. China has previously said Muslim separatists in Xinjiang were planning attacks on the Olympics, a claim backed up by some security experts. “There are a number of terrorist groups seeking to attack China at this point in time, but the group with the intentions and capability to mount attacks in China is ETIM,” said Rohan Gunaratna, head of the Singapore-based International Centre for Political Violence and Terrorism Research. However, rights groups have accused the government of exaggerating or fabricating the threat as an excuse to silence dissent in the Xinjiang region, where many complain about decades of repressive Chinese rule. Dilxat Raxit, a spokesman for the World Uighur Congress, an exile group, on Saturday said Uighurs in Xinjiang did not engage in terrorism. “China wants to prove there is terrorism in Xinjiang to continue to repress Uighurs in the region,” he said. China’s foreign ministry and ministry for public security refused to comment on the group’s claims when contacted by AFP. KASHGAR, China, July 28 (Reuters) – In a backstreet of the old Silk Road city of Kashgar, Chinese authorities have been spray-painting signs on dusty mud brick walls to warn against what it says is a new enemy — the Islamic Liberation Party. KASHGAR, China, July 28 (Reuters) – In a backstreet of the old Silk Road city of Kashgar, Chinese authorities have been spray-painting signs on dusty mud brick walls to warn against what it says is a new enemy – the Islamic Liberation Party. Better known as Hizb ut-Tahrir, the group says its goal is to establish a pan-national Muslim state, or Caliphate. Better known as Hizb ut-Tahrir, the group says its goal is to establish a pan-national Muslim state, or Caliphate. China says Hizb ut-Tahrir are terrorists operating in the far western region of Xinjiang, home to some 8 million Muslim, Turkic-speaking Uighurs, many of whom chafe under Chinese rule. China says Hizb ut-Tahrir are terrorists operating in the far western region of Xinjiang, home to some 8 million Muslim, Turkic-speaking Uighurs, many of whom chafe under Chinese rule. But the group and some observers say it does not espouse violence and accuse China of playing up the threat as an excuse to further crack down in restive Xinjiang, especially ahead of the Beijing Olympics. But the group and some observers say it does not espouse violence and accuse China of playing up the threat as an excuse to further crack down on restive Xinjiang, especially ahead of the Beijing Olympics. “Strike hard against the Islamic Liberation Party” and “The Islamic Liberation Party is a violent terrorist organisation” read the signs in Kashgar, written in red in both Chinese and Uighur’s Arabic-based script. “Strike hard against the Islamic Liberation Party” and “The Islamic Liberation Party is a violent terrorist organisation” read the signs in Kashgar, written in red in both Chinese and Uighur’s Arabic-based script. Residents passing by appear to pay little heed to the notices, accustomed to barrages of government propaganda denouncing “splittism”, “illegal religious activities” and calling for ethnic unity and harmony. Residents passing by appear to pay little heed to the notices, accustomed to barrages of government propaganda denouncing “splittism”, “illegal religious activities” and calling for ethnic unity and harmony. “I don’t know what that group is,” said one Uighur, who declined to give his name, shaking his head and scurrying away. “I do not know what that group is,” said one Uighur, who declined to give his name, shaking his head and scurrying away. As in another strife-hit Chinese region, Tibet, many Uighurs resent the growing economic and cultural impact of Han Chinese who have in some cases been encouraged by the government to move to far-flung and under-populated parts of the country. As in another strife-hit Chinese region of Tibet, many Uighurs resent the growing economic and cultural impact of Han Chinese who have in some cases been encouraged by the government to move to far-flung and under-populated parts of the country. Beijing accuses militant Uighurs of working with al Qaeda to use terror to bring about an independent state called East Turkestan. Beijing accuses militant Uighurs of working with al Qaeda to use terror to bring about an independent state called East Turkestan. The government says it has foiled several Xnjiang-based plots this year to launch attacks during or in the run-up to the Games, including one which apparently would see athletes targeted by suicide bombers or be kidnapped. The government says it has foiled several plots Xnjiang-based this year to launch attacks during or in the run-up to the Games, including one which would see athletes apparently targeted by suicide bombers or be kidnapped. But the emergence of Hizb ut-Tahrir is a recent phenomenon in Xinjiang. But the emergence of Hizb ut-Tahrir is a recent phenomenon in Xinjiang. “The organisation is extremely resilient and its influence, although limited to southern Xinjiang, seems to be growing,” said Nicholas Bequelin of Human Rights Watch. “The organisation is extremely resilient and its influence, although limited to southern Xinjiang, seems to be growing,” said Nicholas Bequelin of Human Rights Watch. “The prison authorities are also worried about the influence of Hizbut followers on other inmates,” he added. “The prison authorities are also worried about the influence of Hizbut followers on other inmates,” he added. But it seems unlikely they represent the threat to Xinjiang that China likes to portray, said Dru Gladney, a Uighur expert and president of the Pacific Basin Institute at Pomona College, California. But it seems unlikely they represent the threat to Xinjiang that China likes to portray, said Dru Gladney, a Uighur expert and president of the Pacific Basin Institute at Pomona College, California. “For most Uighurs who are activists, though some of them are very religious in their Islam, their main goal is sovereignty for Xinjiang. Hizb ut-Tahrir doesn’t support that. They support a worldwide Caliphate, not any one independent region,” he said. “For most Uighurs who are activists, though some of them are very religious in their Islam, their main goal is sovereignty for Xinjiang. Hizb ut-Tahrir does not support that. They support a worldwide Caliphate, not any one independent region,” he said. Though a part of China, many areas in Xinjiang feel a world away from the booming and cosmopolitan cities on the Chinese coast, far to the east. Though a part of China, many areas in Xinjiang feel a world away from the booming and cosmopolitan cities on the Chinese coast, far to the east. In Kashgar, a city close to the Pakistan and Afghan borders, some women not only cover their heads, but also veil their faces. In Kashgar, a city close to the Pakistan and Afghan borders, some women not only cover their heads, but also veil their faces. In some cases, dark brown cloths envelope the whole head. In some cases, dark brown envelope cloths the whole head. Clocks in many mosques, restaurants, cafes and shops are set to Xinjiang time. Clocks in many mosques, restaurants, cafes and shops are set to Xinjiang time. This is two hours behind Beijing time, the official standard for the entire country, which means China’s sun does not set until after 10 pm in Kashgar in the summer. This is two hours behind Beijing time, the official standard for the entire country, which means China’s sun does not set until after 10 pm in Kashgar in the summer. Exiled groups and human rights campaigners have long chastised China for its religious restrictions. Exiled groups and human rights campaigners have long chastised China for its religious restrictions. The government hits back and says it guarantees freedom of religion in its constitution, as long as believers respect the law. The government hits back and says it guarantees freedom of religion in its constitution, as long as believers respect the law. Many are not convinced Hizb ut-Tahrir is the threat the Chinese government says it is in Xinjiang. Many are not convinced Hizb ut-Tahrir is the threat the Chinese government says it is in Xinjiang. For its part, Hizb ut-Tahrir denies it advocates violence. For its part, Hizb ut-Tahrir denies it advocates violence. “Hizb ut-Tahrir and Muslim voices that do not toe the government line have been severely oppressed by the Chinese government,” Taji Mustafa, media representative for Hizb ut-Tahrir Britain, told Reuters in an emailed statement. “Hizb ut-Tahrir and Muslim voices that do not toe the government line have been severely oppressed by the Chinese government,” Taji Mustafa, media representative for Hizb ut-Tahrir Britain, told Reuters in an emailed statement. “It is well known across the world that since its founding in 1953, Hizb ut-Tahrir has exclusively engaged in non-violent political and intellectual work,” Mustafa added. “It is well known across the world that since its founding in 1953, Hizb ut-Tahrir has exclusively engaged in non-violent political and intellectual work,” Mustafa added. He did not comment on whether the group was active in Xinjiang. He did not comment on whether the group was active in Xinjiang. China maintains the threat is real. Hizb ut-Tahrir is likewise banned in countries such as Uzbekistan, where it has also been blamed for violence. China maintains the threat is real Hizb ut-Tahrir is likewise banned in countries such as Uzbekistan, where it has also been blamed for violence. In November, China’s Xinhua news agency announced sentences ranging from death to life in jail for six Uighurs accused of “splittism and organising and leading terrorist groups”, and implicated Hizb ut-Tahrir. In November, China’s Xinhua news agency announced sentences ranging from death to life in jail for six Uighurs accused of “splittism and organising and leading terrorist groups”, and implicated Hizb ut-Tahrir. One of the men was found guilty of “proactively carrying out extremist religious activities and promoting ‘jihad’, establishing a terrorist training base and preparing to set up an ‘Islamic caliphate'”, Xinhua reported. One of the men was found guilty of “proactively carrying out extremist religious activities and promoting ‘jihad’, establishing a terrorist training base and preparing to set up an ‘Islamic caliphate’,” Xinhua reported. In April, the Xinjiang government blamed Hizb ut-Tahrir for inciting protests in Khotan, in which the World Uyghur Congress said about 1,000 people took to the streets. In April, the Xinjiang government blamed Hizb ut-Tahrir for inciting protests in Khotan, in which the World Uyghur Congress said about 1000 people took to the streets. “By linking the unrest to Hizb ut-Tahrir there’s legal cause for suggesting that these individuals were involved in a transnational conspiracy to set up an Islamic state and destabilise China,” Gladney said. “By linking the unrest to Hizb ut-Tahrir there’s legal cause for suggesting that these individuals were involved in a transnational conspiracy to set up an Islamic state and destabilise China,” Gladney said. Still, authorities launched a propaganda drive last year targeting what China says are the true intentions of Hizb ut-Tahrir. Still, authorities launched a propaganda drive last year targeting China says what are the true intentions of Hizb ut-Tahrir. Yet while some Uighurs say they have heard of Hizb ut-Tahrir, they dismiss it as being irrelevant to their situation. Yet while some Uighurs say they have heard of Hizb ut-Tahrir, they dismiss it as being irrelevant to their situation. Yesterday morning at the White House, Uyghur democracy leader Rebiya Kadeer met with President George W. Bush, together with four other human rights leaders, to discuss the human rights situation in the People’s Republic of China (PRC). During the meeting, President Bush expressed his support for Uyghurs’ quest for human rights and democracy, and assured the five activists that he would voice their human rights concerns with PRC officials when he travels to Beijing in just over a week’s time to attend the Olympic Games. Together with Wei Jingsheng, Bob Fu, Harry Wu, and Dr. Sasha Gong, Ms. Kadeer expressed gratitude for President Bush’s demonstrated commitment to promoting freedom and democratic reform in the PRC. The five activists also spoke about their personal experience as victims of Chinese government persecution, and their efforts to peacefully promote human rights reforms within China. “I was deeply honored to meet with the President, and to hear his words of support for the Uyghur people on the eve of the Beijing Olympics,” said Ms. Kadeer. “His decision to meet with us at this time will send a powerful message to the Chinese government that it does not have a free hand to commit human rights abuses.” During the meeting, President Bush specifically expressed concern about the situation of Ms. Kadeer’s sons Alim and Ablikim Abdureyim, who are currently serving lengthy prison sentences in the PRC. He indicated that he would raise their cases with Chinese leaders during his visit to Beijing. Ms. Kadeer expressed her concerns over the Beijing regime’s recent harsh campaign of repression on peaceful Uyghur dissent in the name of anti-terrorism. The Uyghur American Association (UAA) applauds President Bush for meeting with Ms. Kadeer and the other human rights figures, and for demonstrating his commitment to promoting human rights and democracy in East Turkestan and throughout the PRC. UAA would also like to thank the members of the U.S. Congress who supported H. Res. 1370, calling on the Chinese government to “immediately end abuses of the human rights of its citizens” and to “cease repression of Tibetan and Uighur citizens.” The resolution passed in the House of Representatives this afternoon. UAA would especially like to thank House Foreign Affairs Committee Chairman Howard Berman for sponsoring the bill. Ms. Kadeer previously met with President Bush in June 2007 in Prague, where he delivered a speech at a conference on democracy and security. During the speech, the President praised Ms. Kadeer as a human rights defender, citing her as an individual who has struggled for freedom, democracy and human rights in the face of tyranny. Der türkische Ministerpräsident Tayyip Erdogan kann weiter regieren. Das Verfassungsgericht in Ankara wies am Mittwoch den Antrag des Generalstaatsanwalts Abdurrahman Yalcinkaya, Erdogans islamisch-konservative Gerechtigkeits- und Entwicklungspartei (AKP) zu verbieten, zurück. Gerichtspräsident Hasim Kilic gab die Entscheidung am Abend bekannt.Bei der entscheidenden Abstimmung votierten zwar sechs der elf Verfassungsrichter für ein Verbot. Damit wurde aber die für einen solchen Beschluss erforderliche Mehrheit von mindestens sieben Stimmen knapp verfehlt. Das elfköpfige Richtergremium hatte über das Urteil seit Montag insgesamt rund 33 Stunden lang beraten. Die Anklage habe keine hinreichenden Beweise erbringen können, dass die Partei gegen die Verfassung verstoßen habe, sagte Kilic. Die AKP muss aber staatliche Wahlkampfhilfen zurückzahlen. Um welchen Betrag es dabei geht, war zunächst nicht klar.Verfassungsgerichtspräsident Kilic sagte, dies sei “eine ernste Warnung” an die AKP. “Ich hoffe, sie wird die nötigen Lehren daraus ziehen”, mahnte Kilic. Eine ausführliche Urteilsbegründung wird erst in den nächsten erwartet. Auch mit seinem Antrag, 71 führenden AKP-Funktionären, unter ihnen Staatspräsident Abdullah Gül und Premier Erdogan, für fünf Jahre jede parteipolitische Betätigung zu untersagen, konnte sich der Ankläger nicht durchsetzen. Konflikt schwelt seit AKP-Wahlsieg im November 2002Das Mitte März mit der Anklage des Generalstaatsanwalts in Gang gesetzte Verbotsverfahren war der bisherige Höhepunkt eines erbitterten Machtkampfes zwischen den religiös geprägten, aber zugleich reformorientierten und pro-europäischen Kräften um Ministerpräsident Erdogan auf der einen und der kemalistischen Elite sowie den Militärs auf der anderen Seite.Der Konflikt schwelte seit dem ersten Wahlsieg der AKP im November 2002. Die erst 15 Monate zuvor gegründete AKP wurde damals mit 34 Prozent der Wählerstimmen stärkste Partei und gewann die absolute Mehrheit der Mandate. Bei den vorgezogenen Parlamentswahlen vom Juli 2007 erzielte Erdogans Partei sogar fast 47 Prozent, den höchsten Stimmenanteil für eine türkische Partei seit vier Jahrzehnten. Mit der Entscheidung des Verfassungsgerichts kann die Regierung zwar einen Erfolg verbuchen, mit dem die meisten Beobachter noch vor wenigen Tagen gar nicht gerechnet hatten. Der Konflikt um den es geht, dürfte aber weiter schwelen und könnte schon bei nächster Gelegenheit wieder aufbrechen. Vor allem die mächtigen Militärs, die sich als Erben Atatürks und als Wächter über die weltliche Verfassungsordnung verstehen, werden weiterhin jeden Schritt der AKP misstrauisch verfolgen.Das türkische Militär hat seit 1960 bereits vier gewählte Regierungen abgesetzt. Beobachter meinen, die Generäle würden nicht zögern erneut einzugreifen, wenn sie die Trennung von Staat und Religion in Gefahr sehen. Erdogan dürfte deshalb zumindest in den kommenden Monaten alles daransetzen, den Konflikt zu entschärfen. Kontroverse Themen wie das Kopftuchverbot wird der türkische Premier wohl auf absehbare Zukunft tunlichst meiden.